CLEARANCE SALE - 68% Discount - Save $42.55! Only 8 packs available. 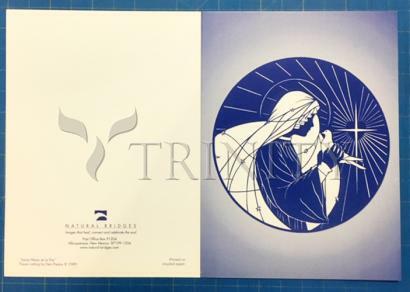 Pack of 25 Blue Note Cards - “Assumption into Heaven” by Dan Paulos. Originally sold for $2.50 each. Now only $19.95 ($0.80 each). You save $42.50 (68% off). Standard 4½” x 5¾” Note Card displays artwork on front, blank on inside. Includes 26 envelopes.